In today’s blockchain world, we need blockchain platforms that can facilitate and help companies integrate their business. And, we already have these type of platforms offering unique solutions. Meet VeChain (VET), which offers an enterprise level public blockchain platform. They aim to integrate the real-world use cases with blockchain technology. To do so, they are going to provide governance structures, advanced IoT integration, and a robust economic model. 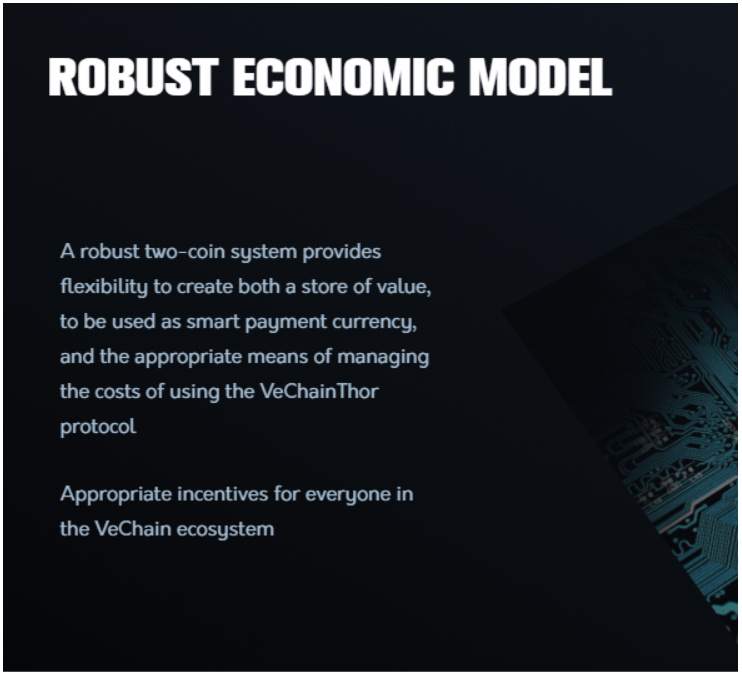 VeChain, unlike other blockchain platforms, aims to provide a solution for established system and help them take advantage of blockchain technology. Their true focus is on real-world use cases which makes them truly unique in their approach. According to VeChain, their technology can be used in different verticals including luxury goods, cards, retail, cars, logistics, and even liquor sales. However, they are confident that they can change the way some major industries work and revolutionize them completely. Even their CEO Sunny Lu speaks about how their VeChain platform can be used to improve the supply chain, one of its main use cases. This leads us to our next question, “How VeChain will revolutionize the supply chain?” Let’s explore it below. VeChain is mainly known for its supply-chain impact. After all, it is a product management platform and aims to solve one of the biggest problems in the industry, i.e., tracking and following goods in a supply chain scenario. So, how will it achieve those results? It will do it thanks to the blockchain technology by providing a secure and simple transaction between different entities related to supply chain including manufacturers, investors, consumers, and vendors. They will share all the important information to consumers, leading to an improved and more efficient version of supply chains across several distinct industries. Blockchain’s usage will also bring transparency to the supply chain which will enable anyone to track materials and other key information such as customer feedback, service history and so on. In short, everything can be accessed or stored using blockchain ledgers, improving the overall supply chain management. To make it work, manufacturers have to generate a unique key for each of the products/materials. This unique key will help suppliers, manufacturers and consumers interact directly with the platform to access key information about those goods, improving response time, customer feedback and so on. The blockchain integration will also protect the interest of the brands and consumers against fake products. Fake products are a massive problem across the whole supply chain, and that can be further understood by the fact that China gave VeChain’s platform to process one million bottles. China did this to counter the problem of fake wine bottles in their country. The same thing is also applicable across other goods and services. Want to know more about its supply-chain impact? Read about its partnerships here. To get a better understanding of VeChain, we also need to understand its token model. During its initial launch, VeChain used Ethereum smart contracts and was dependent on Ethereum technology. However, it soon created its own native blockchain and migrated to it. It is similar to how NEO uses its own blockchain rather than relying on Ethereum. 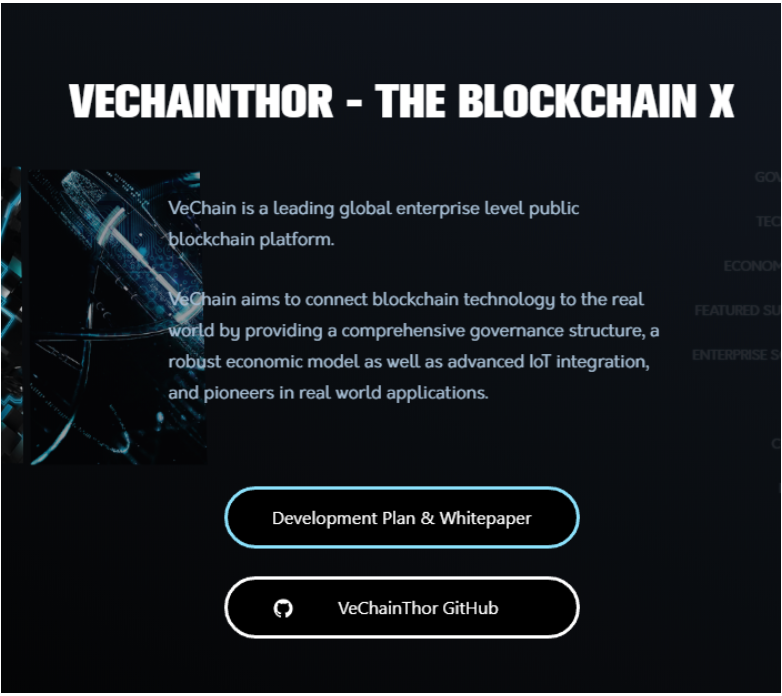 VeChain also follows NEO’s footprint and offers two different utility tokens which include the VeChain Token(VET) and VeThor(THOR). Both of them have different use cases. Let’s explore them below. Use case: VET acts as a smart payment currency and store of value. Use case: Acts as a utility token for performing certain operations within the network. For example, transferring VET, executing smart contracts, and so on. They also have a different way of acquisition. To acquire VET, you need to purchase it from an open market. If you are a strategic partner, you can also get it from a dedicated pool at a low rate. VeThor, on the other hand, is generated automatically if you hold VET in a supported wallet. VeThor is also available to buy from online markets. One can make the parallel between Thor and NEO’s gas which are used in similar fashion to power the network and enable smart contract execution. VeChain uses Proof-of-Authority consensus model. It is a new consensus model which improves over the drawbacks of Proof-of-Stake(PoS), Proof-of-Work(PoW) and other consensus models. It reaches consensus without the need to have communication within nodes, and that’s what makes the computation power requirements low. If you want an in-depth understanding of Proof-of-Authority, then we recommend reading its proper explanation here. A VPS that can run 24/7 with a fixed IP address. This means that you need to do an initial investment of a lump sum money including buying a minimum number of VET tokens. Also, you need to get a good VPS and a fixed IP address which also adds to the initial cost. An amazing article written by NodesofValue looks into how much it will cost to set up and run a VeChain masternode. It is an in-depth guide and we recommend you to read it if you’re seriously looking to get yourself a masternode. The article explains how you can earn rewards using different methods. VET price when you bought it. The number of nodes and x-nodes. VeChain is undoubtedly a great project that aims to solve real-world problems. However, it is not as decentralized as one would like it to be. VeChain foundations control it. But, on the other hand, the project seems to hold solid fundamentals and the sheer number of partnerships that it has already established with major brands reinforces the idea that VeChain can definitely play an important role in bringing blockchain technology to real-world usage, specifically to improve the way supply chain works, bringing more efficiency and transparency to the whole industry. So, what do you think about VeChain? Do you think that it is the next big thing set to disrupt the supply chain industry? Previous Previous post: Stackr Community Diligence: 13 Advisors And Zero Engineer On a Blockchain Project! Next Next post: How would you rate your investment behavior as an ICO investor?